Richard is a founding director. He started his career with a large Isle of Man firm in 1991 and was called to the Manx (Isle of Man) Bar in 1995. A former partner in an Isle of Man general legal practice, he set up his own firm in 2002 and merged this practice with Andrew Bridson in 2006. In 2017, Richard was ranked by Chambers, which ranks the highest-rated lawyers and law firms. who remarked that he “handles himself and the case very well”. He was formerly an associate at 4-5 Grays Inn Square London. Richard is experienced in litigation at all levels of the Manx courts from the Privy Council, Staff of Government Division (the Appeal Division), the High Court, Court of General Gaol Delivery, Summary Courts, Coroners Inquests to Tribunals in areas as diverse as share purchase agreements, estate disputes, matrimonial law, employment, health and safety, work permits and public enquiries. He has recently acted for successful claimants and respondents in unfair dismissal claims. For the last 10 years, his practice has focused on commercial and international cross-border litigation including large Trust disputes. He has advised trustees and beneficiaries on various issues relating to their rights and obligations. He has also dealt with a number of doleance claims (Manx Judicial review). 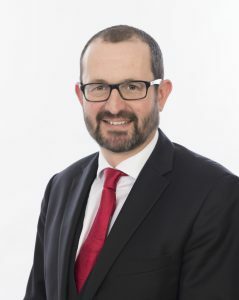 Richard is former Treasurer for the Isle of Man Law Society and has sat on several committees of the Isle of Man Law Society including the Legislation and Education committees. He is a Notary Public. He has been involved in various successful mediations. In his spare time, Richard is a Director of the Isle of Man Taekwondo Association which has involved him in various areas of international sports law including advising world number 1 ranked Olympic Taekwondo player, Aaron Cook. Richard is a 5th dan black belt and is an instructor with a local not-for-profit club. He is a Council member of the European Taekwondo Union, the European federation for the Olympic sport. he has been engaged in various sensitive international cases including extradition proceedings and serious fraud matters.